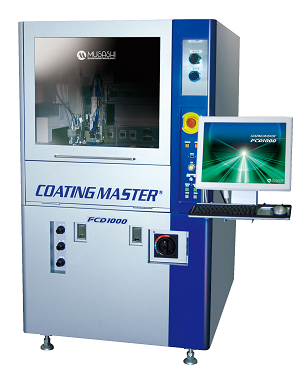 【MUSASHI ENGINEERING】COATING MASTER FCD 1000 | Products （Dispenser ）| MASS CO., LTD.
Masking is not necessary and, without scattering, controls spot coating freely from wide area. ・Superior dispensing reproducibility by image recognition standard Equipped. ・We can cope to medium size Substrate Max.250 X 330mm. ・Combination is possible from in-line type to loader / unloader type. ※Available work size fluctuates by optional to choose. Please refer for the details.